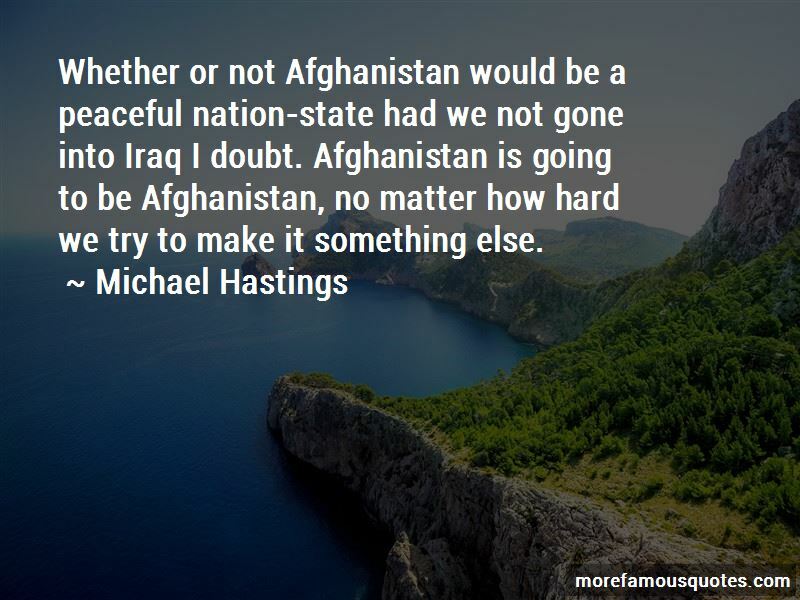 Enjoy the top 71 famous quotes, sayings and quotations by Michael Hastings. The simple and terrifying reality, forbidden from discussion in America, was that despite spending $600 billion a year on the military, despite having the best fighting force the world had ever known, they were getting their asses kicked by illiterate peasants who made bombs out of manure and wood. If someone tells you something is off the record, I don't print it. If they don't tell me something is off the record, then it's fair game. General David Petraeus was so successful at getting on covers of magazines, having journalists fall in love with him, that in fact he was able to use that power to go around the normal chain of command. The first time I met President Obama was 2006 in Baghdad. He was the senator from Illinois; it was a month before he actually ended up declaring. He had to come to Baghdad to kind of check that box, and I was the correspondent for 'Newsweek' at the time. Usually when reporting on powerful public figures, the press advisor and I would have had a conversation that established what journalists call 'ground rules,' placing restrictions on what can and cannot be reported. The guys on the ground are the guys I care about. I've had the most satisfaction telling their stories. But when you're in combat with somebody, yes, a bond does grow. 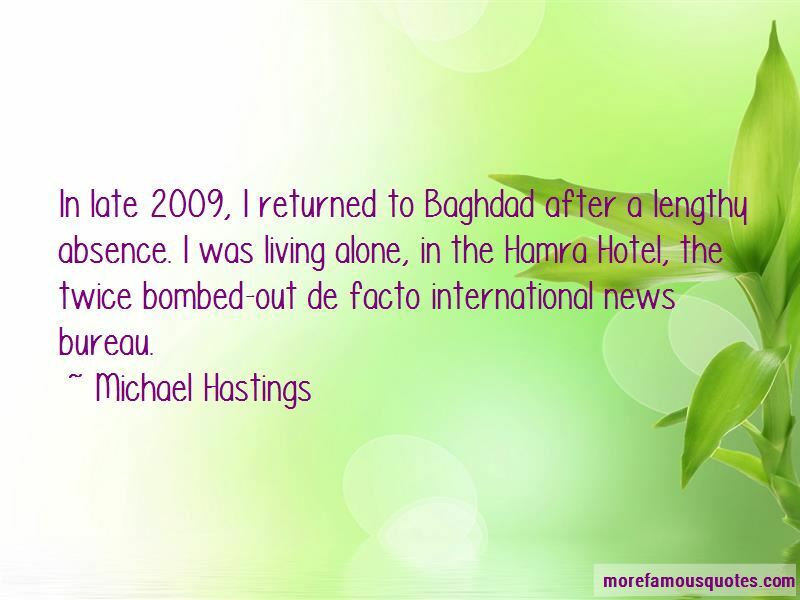 Want to see more pictures of Michael Hastings quotes? Click on image of Michael Hastings quotes to view full size.